Economic excitement is back in many countries in the world. Construction activities have picked up, investment is flowing and manufacturing has once again gained momentum. India’s economy, for instance, reflects a buoyant growth rate of around 5.3% in 2014 and 5.8% in 2015, riding high on intense government and private sector funding and on an aggressive push to build new and improve on existing public and industrial facilities. Naturally, India’s new found economic vitality has attracted entities and professionals from all over the world to set up shop and work in the country, respectively. From information technology to industrial manufacturing to consumer goods, the best global brands are flocking to India as a safe bet of investment. While the foregoing bodes well for the future of the country and its people, the frenetic pace of economic and social activities in India is taking its toll on the country’s power supply. A study conducted by India’s Central Electricity Authority reported that energy deficiency would be felt across the country and that the spare power capacity of the northern regions would gradually recede. The situation described above has actually been looming for a time now: Recorded data in recent years showed that demand for energy in India had consistently outstripped the supply, both in terms of base load energy and peak availability. India, the data suggested, registered an 8.5% deficit in base load requirement and 9.8% short-fall in peak load requirement. The government, in recognition of the foregoing, had initiated rural and urban electrification projects that comprised power plants that run on traditional and alternative energy sources. The discrepancy between the rates of the addition of electric power supply and the growth of demand, however, is that wide that the available energy is never enough to fulfill the requirement. And the gap is observed to be continuously growing, whether in generation, transmission or distribution…. The repercussion of the power deficiency is real. In 2012, a massive blackout left 700 million people in India without electricity. In what is touted to be one of the worst blackouts in history, 20 of India’s 28 states suffered the effects of the power interruption that almost incited social instability and protest for fears that the country was no longer able to support its booming local energy demand. With the feverish growth rate of economic and social activities in India, the country’s demand for electricity should show no signs of slowing down. How can energy be sustained? One has to face the truth that permanent power plant projects cannot be completed in days or months. Permanent energy facilities may take decades to complete, as planning, designing, approving, constructing and commissioning them entail time, effort and processes that go through different channels. What, then, can be done? Is there anything that can possibly support the permanent infrastructure while the new ones are being built? Temporary power generation companies, like Altaaqa Global CAT Rental Power, have the technologies that have the capacity to support the existing power generation infrastructure, bridging the gap in electricity supply as, where and when the necessity be. In times when the power demand heavily outstrips the supply, rental power generators, running on diesel for example, can prove to be viable and affordable sources of energy to avoid disastrous power interruptions, unscheduled load shedding and widespread blackouts. Though some parts of the country may have occasional spare power capacity, its availability may be periodic and can be severely affected by a disrupted seasonal pattern. For instance, some parts of the country where hydroelectric power stations operate may experience droughts or prolonged absence of rain, which in turn can drastically reduce the power generation capacity of the said plants. Solar or photovoltaic farms thrive during summer months but may experience shortage in production in months when days are predominantly cloudy or rainy. 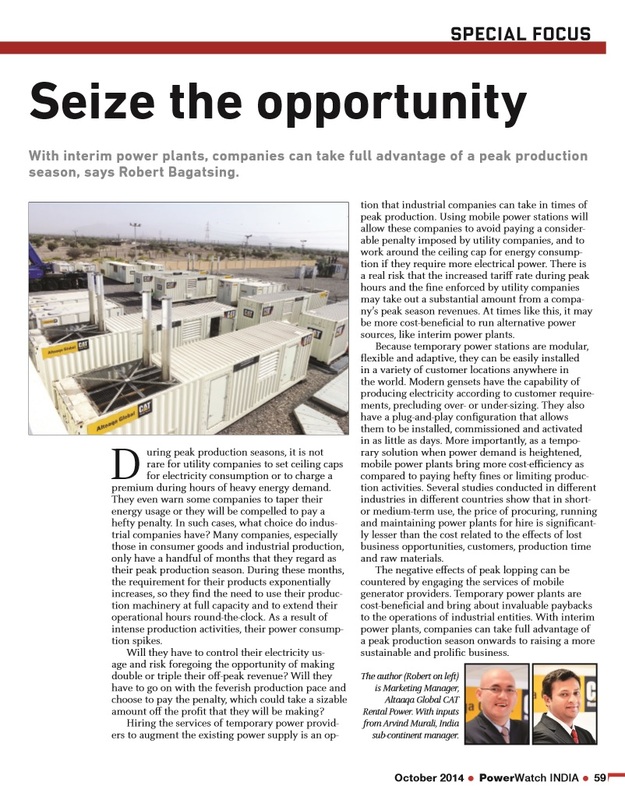 In these cases, rental power plants may support the power generation capacity of the current facilities to bridge the gap during the crucial months of seasonal change. With its booming industrial manufacturing sector, production facilities in India often need to double, may be even triple, their capacities to meet the international production requirement in certain months, say during Christmas or Diwali. 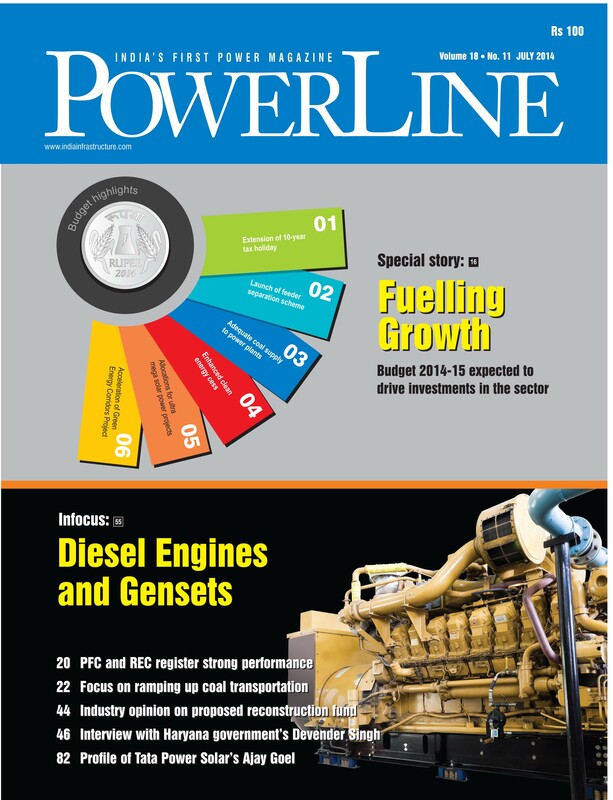 The consequent spike in power consumption may usher in operational challenges. It is highly probable that during the peak months, utility companies will set ceiling caps for electricity consumption or will ask production facilities to pay an additional consumption premium during peak hours. In this case, based on cost-benefit studies conducted among industries within the arc of peak months, it will be more economically sound for manufacturing facilities to hire temporary power plants than to pay an additional fee for every peak kilowatt used, shut down parts of the production complex when power usage is at its peak, or pay a hefty fine for using more power than what has been allocated. Peaker power plants (peakers for short) are an ideal solution offered by energy rental companies to curb seasonal electricity demand during peak production months. 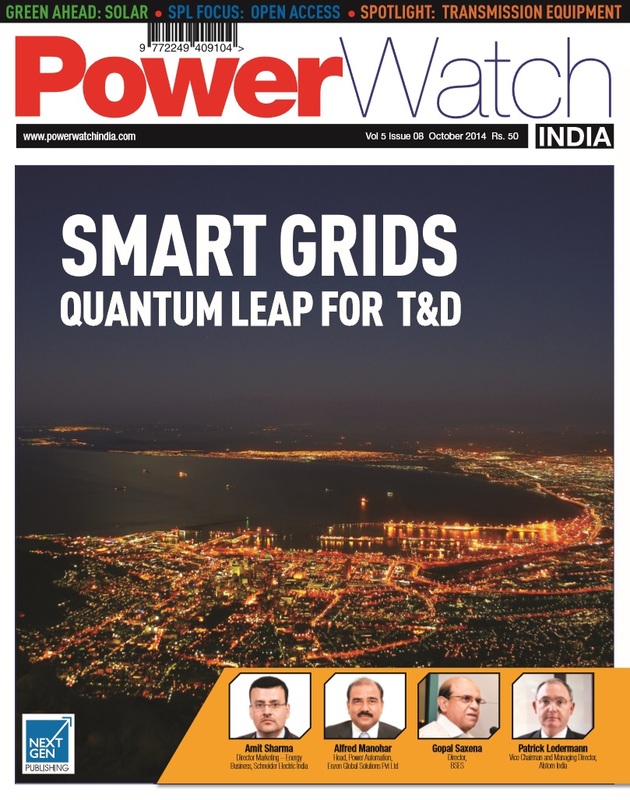 To fully capitalize on the advantages of temporary power technologies, the governments and the utility companies in India need to be discerning in hiring an interim energy service provider. In selecting a temporary electricity partner, one should look at the provider’s experience, organization, support system, rate of deployment and equipment reliability and sustainability before signing an agreement with it. An interim energy partner should have the capability to react, deploy, mobilize and commission temporary power plants at a moment’s notice. This means that the provider should have available equipment and manpower on the ground to carry out a rapid delivery. If the power rental company has the available equipment to deploy and a team of professional logistic personnel that can deal with the complexities of ports, customs and transportation, it can immediately solve the power crisis. Providing solutions to power requirement of different entities does not follow a template nor is it governed by a rule of thumb. 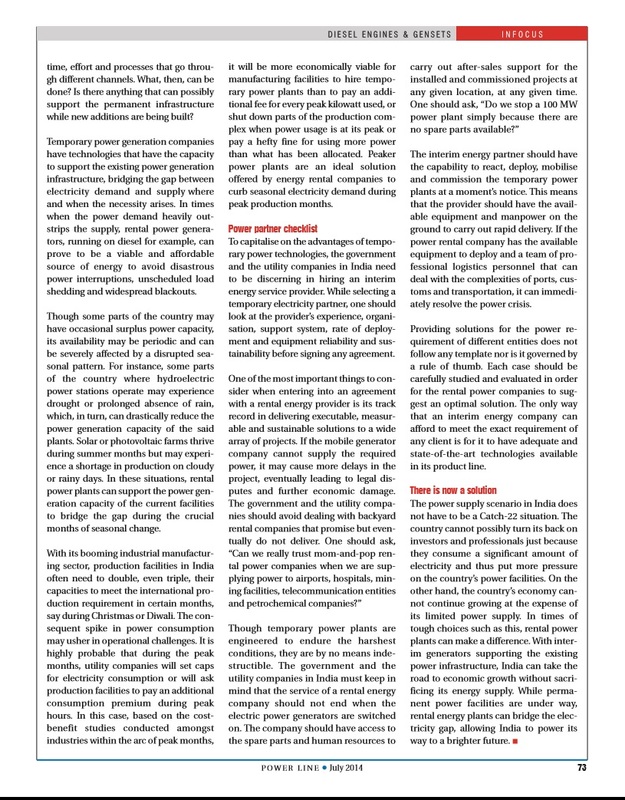 Each case should be carefully studied and evaluated in order for rental power companies to prescribe an optimal solution. The only way that an interim energy company can afford to meet the exact requirement of any client is for it to have the adequate and state-of-the-art technologies available in its product line. The power supply situation in India does not have to be a Catch-22. India could not possibly turn its back on investors and professionals saying that they could not stay in the country because they would eventually consume electricity, putting more pressure on the country’s power facilities. On the other hand, India could not go on growing its economy at the expense of its limited power supply that, when severely overwhelmed, might eventually collapse and cause a massive socio-economic tragedy. In times of tough choices, such as this, rental power plants can make a difference. With interim generators supporting the existing power infrastructure, India can go on its road to economic growth without sacrificing the country’s energy supply. 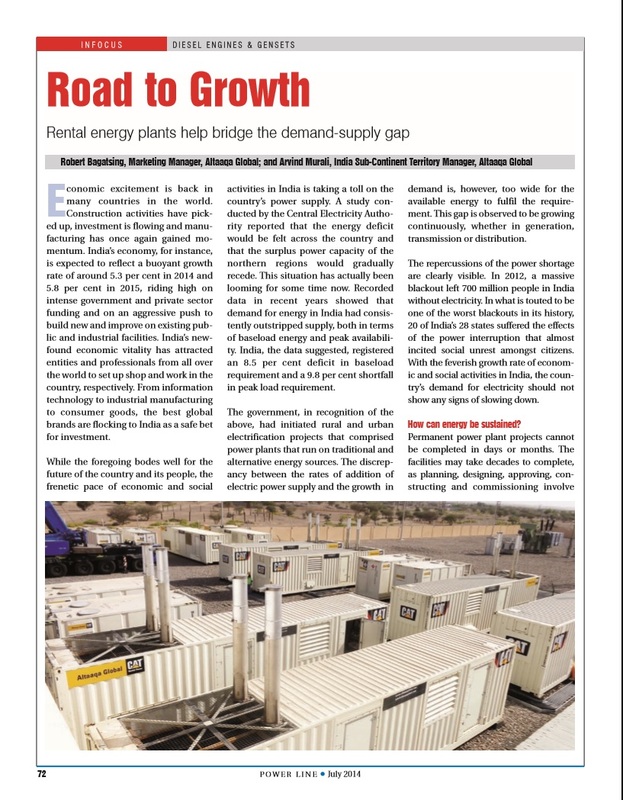 While the permanent power facilities are underway, rental energy plants can bridge the electricity gap, allowing India to power its way to a brighter future.